Welcome to my website! My interest in Dark Shadows started when I was a child, during the original run of Dark Shadows in the 1960s. I watched it with my Mom, brother, and neighbors on our street. I remember our DS bubblegum card collections. My favorite actor is Craig Slocum, who played Noah Gifford, and Harry Johnson, to whom this website is dedicated. There is also a link to my online memorial page for him. I have been attending the DS festivals since 1998, and other DS events. I have met a lot of nice people, and made new friends, as well as meeting a lot of actors. It is a lot of fun! I enjoy collecting DS memorabilia, and am proud of my collection. Dark Shadows lives on! Please sign my Guestbook at the bottom of this webpage!! Thanks!! 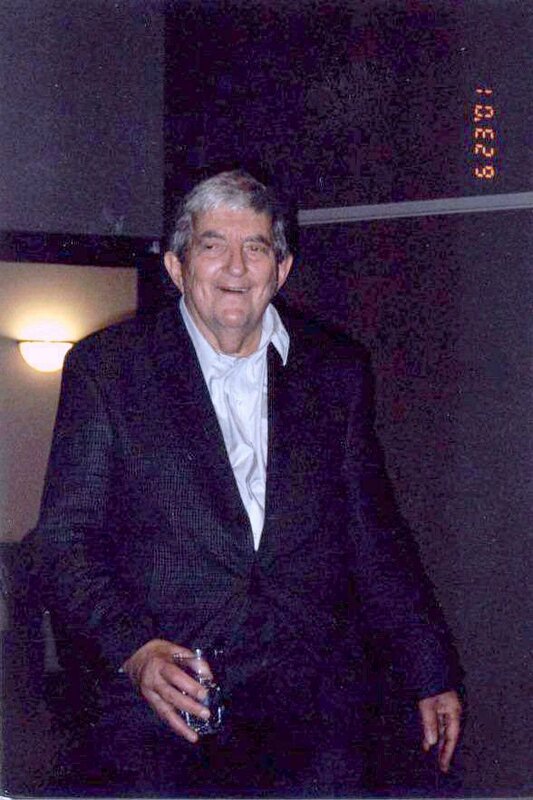 The following pictures were taken in Dalton, GA on June 23rd, 2001. 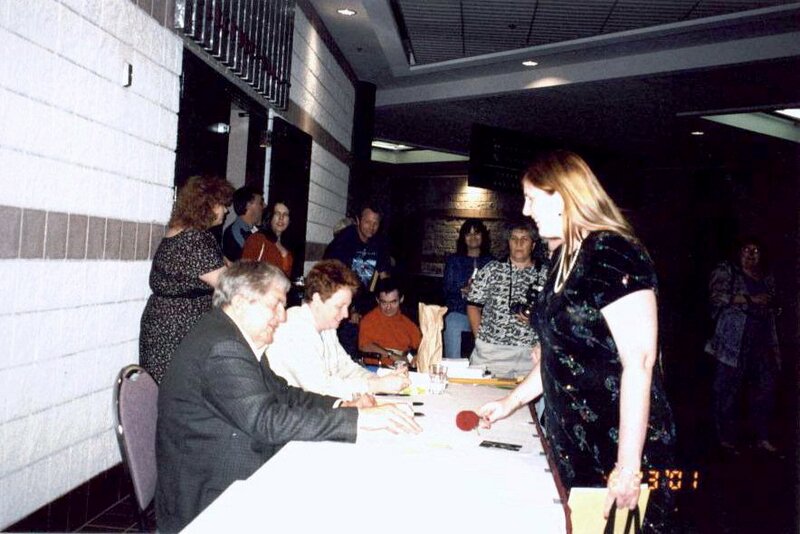 Cheryl with Jonathan Frid at the autograph table. 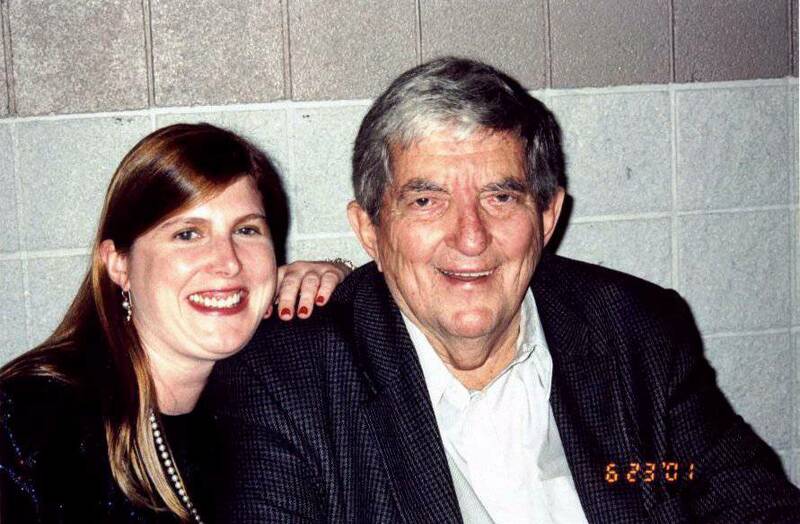 Jonathan Frid signing his autograph for Cheryl. She gave him the rose she is holding, which he put in his water glass! 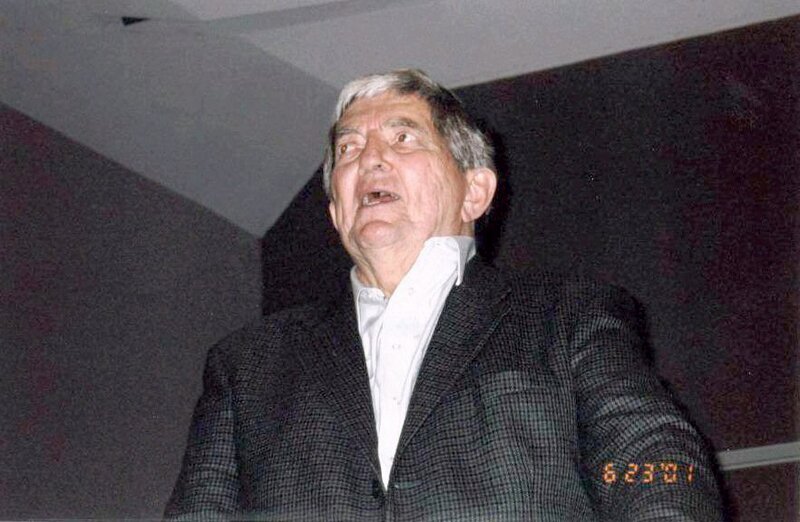 Jonathan Frid during a Q & A session. Dan Curtis Productions. All Rights Reserved.